Tour Hokkaido, write blogs, and maybe even find love along the way. A port of PC adventure game developer Fog’s Fuuraiki 3 is coming to PS Vita in Japan on February 19, courtesy of Nippon Ichi Software, this week’s Famitsu reveals. The game will cost 5,800 yen. 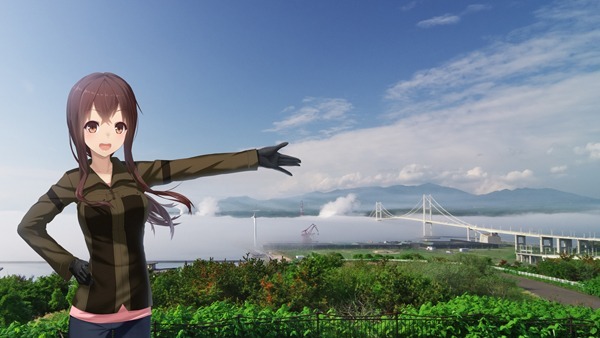 For those not familiar with the Japan-only franchise, Fuuraiki is a series of romance sims that involve touring around Japan’s northern island of Hokkaido. In Fuuraiki 3, gameplay is split between three distinct parts. “Touring” entails freely traveling around the entire island by motorcycle, which is depicted with photography. At certain points, players can stop on the side of the road to better enjoy the view. “Adventure” portions of the game see over 100 famous tourist spots to visit. It’s during such sections of the games that players encounter the game’s heroines and other local people as they gather information and take pictures. “Camping” stretches of the game task players with compiling information about the places they visited and running posts about them online. With the protagonist being an aspiring travel writer, the ultimate goal is to churn out posts that will be received well in a writing contest in which they’re participating. Fuuraiki 3 first launched for PC in April 2013.